Established in October 2017, Meral Akşener's right-wing IYI (Good) Party is already stealing members from the Turkish far right and eurosceptic Nationalist Movement Party (MHP) according to figures on the official website. The official figures showed that MHP since October 5, 2017, lost 14,341 affiliated members and is down to 484,574 from 498,915. 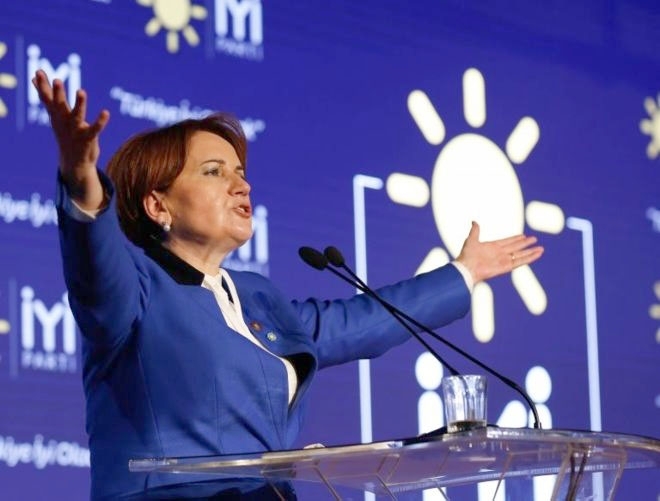 The first significant resignations from the Turkish ultranationalist MHP were in August 2017, when 410 party members left the party to join Meral Akşener's movement in Aydın. More followed soon and resigned MHP to join IYI Party. IYI Party signed up around 51,000 members since its founding, the numbers show. So far, the brand new nationalist party signed up more members than the pro-Kurdish Peoples' Democratic Party (HDP), which managed to sign up 37,551 members since it was first established in 2012. The ruling Justice and Development Party (AKP) is leading the party membership race with more than 9.9 million associated members. The main opposition party, Republican Peoples' Party (CHP) is a distant second with over 1.2 million members. Milliyetçi Hareket Partisi’nden (MHP) ayrılan Meral Akşener ve arkadaşlarının kurduğu İyi Parti’nin üye sayısı 51 bini geçti. MHP 4.5 ayda 14 bin 341 üye kaybetti.